Danielle is the ideal trading mentor. Whether you’re a new or seasoned trader, Danielle addresses your questions on how to understand and apply our strategies here at Simpler Trading. With her previous career path as an elementary school teacher, she has a knack for boiling complex ideas into simple lessons. Her passion in life lies in watching others successfully become traders. Danielle’s interest in trading options started in 2013, when her father introduced her to Simpler Options. She wanted to work from home to spend time with her newborn baby son and be there to watch him grow up. Despite not knowing anything about the markets, and having a hatred for math, she took her first class. She ultimately wanted to learn how to start day trading. It was one of John Carter’s classes on advanced options strategies and account management. As a novice trader, it mostly went over her head, but she was forever hooked. From that day forward, she vowed that she would become a full-time trader. She took every class John and his trading team taught, and she read every book she could get her hands on. Fast forward several hardworking years later, and she is now the Director of Options and the face of Foundation at Simpler Trading. Her goal in Foundation is to help traders grasp the basics that make trading simpler -- no matter their skill level. You can find her in the Live Trading Chatroom five days a week, hosting her session called ‘Trading It Simpler’ where she focuses on strategies she developed from her mentors, John Carter, Carolyn Boroden, and Henry Gambell. Since she rose from beginner to expert, her strategies are ideal for smaller accounts because she knows what it’s like to be at the starting line. She has the keen ability to relay trading information in small tangible bits where even the ‘best’ of traders will find her insights useful and easy to understand. She is a strict technical analyst, with a strong emphasis in Fibonacci Analysis. Her primary focus is on trend-following, directional strategies via options trading, though she covers stocks and ETFs as well. Danielle was also a contributor in John Carter’s 3rd Edition of Mastering the Trade, and has been seen on Real Vision TV and Trader’s Nation. Today, Danielle is a fan favorite and trading expert. She loves to teach, but she also loves connecting with other traders in and outside of the Simpler Trading community. If you ever get a chance to join us for our annual Mentorship, Danielle will be one of the first people to greet you at the door. You can check out her Twitter feed here. Danielle uses three primary grids in her trading. 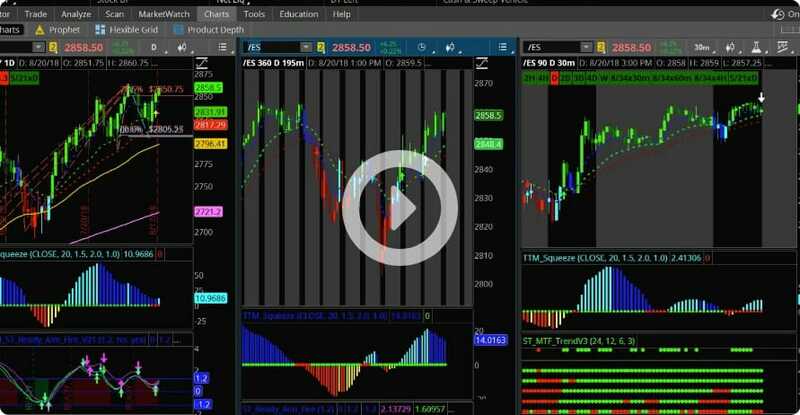 She uses a swing trading grid, a day trading grid with market internals and an earnings grid. Each setup varies slightly and fulfills a different purpose. Want Danielle's Proven 5-Part Trade Checklist? 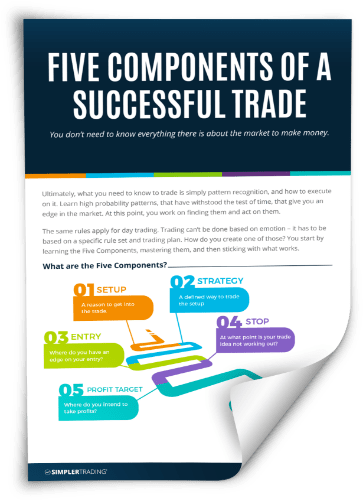 Enter your email below to get her "5 Components of a Successful Trade" for FREE! Discover how she consistently finds high probability setups (even in this volatile market). Free daily video newsletter included. S&Ps Entered Bear Market Territory Today - Where is Santa?